For a long time, what stood in the way of full understanding is the desire in Jewish intellectual circles on the left to fuse Zionism and Socialism in the belief that such a fusion would achieve so-called “Jewish national and social redemption” and at the same time be universally humanist toward Palestinian Arabs — in other words, the desire to view Zionism as “complicated” and give it validation through a critical perspective while at the same time insisting on its invaluable contribution to Jewish national development. This Ashkenazi man’s burden extended to indigenous Arab Jews as well, who at the time were a small minority in Palestine before their forced emigration to Israel in the 1950s from other Arab countries. Regardless of deceptive declarations around British aims in Palestine, Zionist goals were never “the free exercise of the initiative and choice of the indigenous population” that Great Britain supposedly espoused in a Nov 8, 1918 communiqué representing the British and French governments that was proclaimed throughout the Levant, including Palestine. … the paradox that allows the majority of the world to ignore the Mizrahi problem in Israel. While 85% of world Jewry are Ashkenazim, they mainly reside in the diaspora. 15% of world Jewry are Mizrahim, and almost all of them reside in Israel. I discuss the implications of this paradox on the Israeli Ashkenazi Left’s ability to hide its racism when this Left talk with pro-Palestinian NGOs in the West and with the Palestinian national elite in the WB and Gaza… Nothing is going to move toward resolution of the Palestine-Israel conflict without taking into account Israel’s Mizrahi majority and their continual support of Israel’s ultra-nationalist Right, stemming out of the racist history of Israel’s Zionist Left. Judaism teaches, that we should be willing to sacrifice our lives rather than commit murder, commit adultery or worship idols. [But] How many [Jewish] teenagers, especially those who grew up in the Israeli school system who have been brainwashed to believe that Arabs are subhuman are capable of thinking like that? To help us understand the ins-and-outs of Zionism fully, the shameful realities of Israeli Jewish society, including Apartheid, had to be called out, one by one, dissected and analyzed, their “complications” often obscuring the heart of the matter — Palestinian suffering and dispossession — and putting the focus on Jewish identity politics. (2) refusing to protest current manifestations of racism and state oppression (towards Palestinians, African asylum seekers and others), together with ‘white’ leftists, because of the historical sins of the Zionist left against Mizrahim. Result: elevating the radical Mizrahi credentials of call-out activists, who end up serving as useful idiots for the Israeli state and its oppressive practices at present. 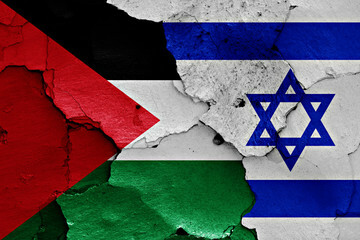 It is true that recognition of the brutalities of the ongoing Jewish-state-Nakba and explanations of its cause, which have been taking place among activists on social and alternative media for a long time now, have not translated into policies or concerns in the United States and the EU (let alone in Israel) for the well-being of Palestinian Arabs. Chances are good that joining a “broader action-based front”, admirable and exhilarating as this movement is, will also fail to question the normative principles and narratives associated with Zionism — i.e. Jewish supremacy in Palestine. The context of broader global social dynamics can work only if we address the particularity of the Jewish nationalist movement in Palestine — i.e., both its colonial and Jewish supremacist character — leading us to a position that embraces “the free exercise of the initiative and choice of the indigenous population” of Palestine. Those who believe that the occupation must be ended first to alleviate the most savage abuses must contend with the fact that the occupation has only been strengthened throughout all attempts to resolve and end it. That is, if the two-state solution is the only possible solution (interim or otherwise), well, it doesn’t appear to be possible. The end of Israel— i.e., the end of Jewish Supremacy in Palestine is not only the ultimate goal; it is the only goal that will bring justice and liberation to Palestine after all these decades.